I made not one, but 2 batches of cookies tonight. Overkill? Quite potentially. We have a bunch of work people coming over after dinner for a little photo scavenger hunting tomorrow. 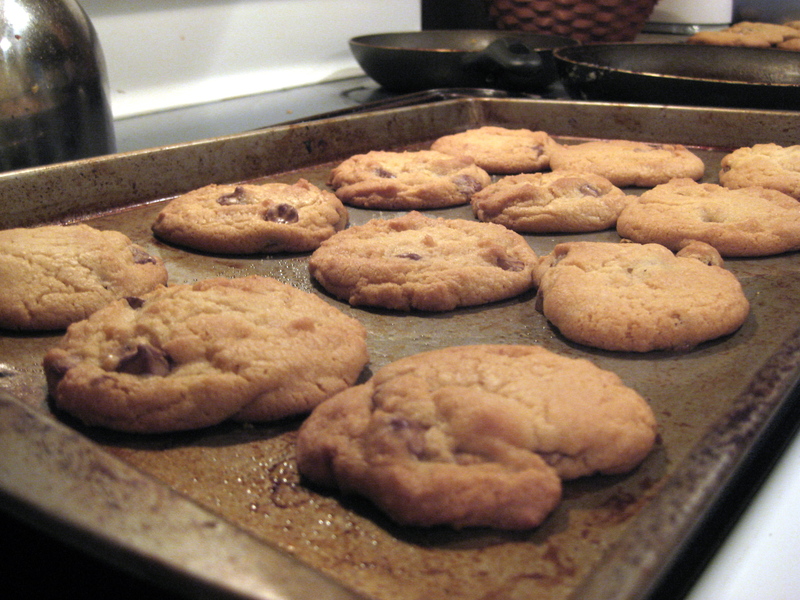 So….after we finish traipsing around town, we’ll have cookies to munch while we hang out. If there are left overs (there will be. let’s not lie) I’m willing to ship them out so that they don’t sit and tempt me on my counter. Any takers? Anyone out there? Recipes I used: BethT’s Perfect Chocolate Chip Cookies and Old Fashioned Sugar Cookies. True confessions: I made the sugar cookies on Sunday night, too. It was necessity. They’re so good. 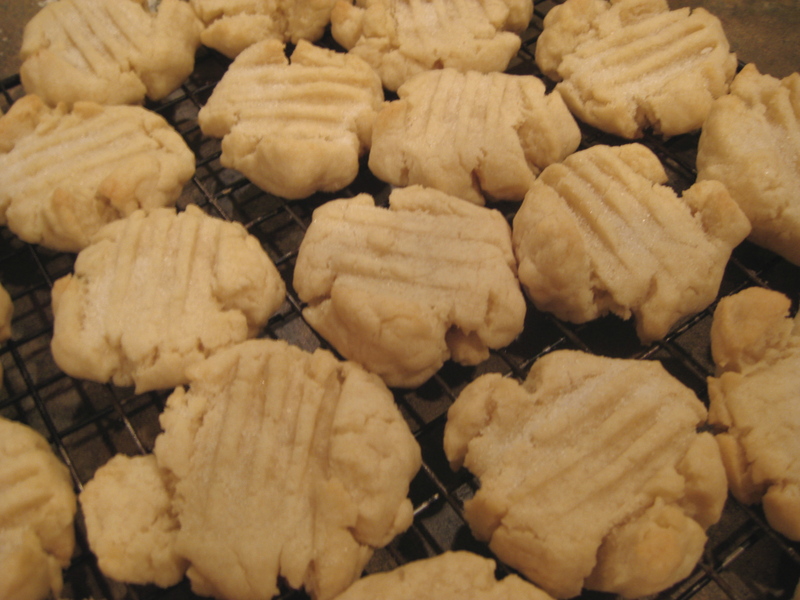 A very nice cross between a sweet, sugar cookie and a shortbread. I might as well just come right out with it; I have this thing for cookies. We have a less-than-mild love affair. I am willing to risk life, limb, and my waist line to continue this relationship into the long-distant future. In other news, check out the bling to the right! A big shout out and thanks to Foodbuzz. Congrats on making it half way through the week…downhill to Saturday, people folk! Those look amazing! Do you let the dough sit for a day before baking? I keep craving cookies, but then I have to make ’em in advance, or they don’t quite taste the same. Huh, I’ve never let cookie dough sit for a day. With the sugar cookies I learned from experience that you can’t attempt to freeze and then thaw the dough. I’m assuming that a similar phenomenon would occur if you refrigerated it. On the other hand, maybe I’m missing out by baking mine right away! I should try letting the dough sit. Interesting. I’ll have to try that sometime!